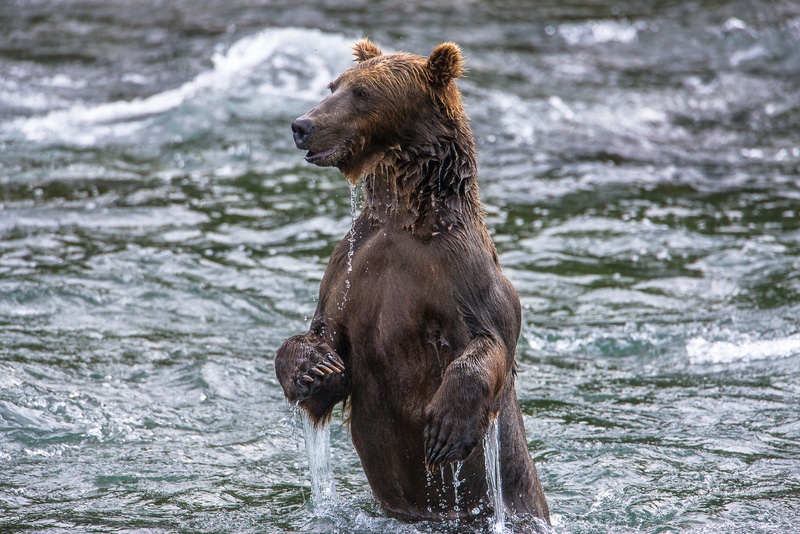 Grizzly merges from the waters after trying his fishing technique of diving for salmon. A proven success in the past keeps this bear submerging himself again and again. Photo © copyright by Lance B. Carter.